Family and friends will gather to remember Josephine Buechler. All who knew Josephine Buechler would agree that she was truly beautiful on the inside and out. She was a strong, determined, and hardworking woman who was such an inspiration to all who were near. Joey cherished her role as a mother, and there was nothing that filled her with more joy than witnessing her family grow to include the grandchildren and great-grandchildren she adored. Humble and selfless, her life’s mission was to make the lives of her family amazing in every way. Life will never be the same without Josephine here, but she leaves behind a timeless legacy that her loved ones will proudly carry on in her footsteps. It seems only fitting that Joey’s life began during a time that was as vibrant as she was. It was the 1920s when jazz music, ballroom dancing, and the beginning of radios were all threads woven into the cultural fabric of that time. Cars were more affordable thanks to the assembly line, and Amelia Earhart and Charles Lindbergh took the world of flight to new heights. It was on February 27, 1927, that Michael and Elizabeth (Geffre) Buechler announced that their daughter, Josephine Margaret, was born in Leola, South Dakota. The seventh of eight children, she was joined in her family by her siblings, Elizabeth, Carl, Teresa, Emma, Emilia, Peter, and Walt. 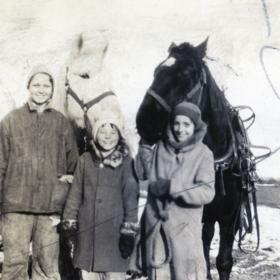 Often known as “Joey,” she was raised on the family farm as her parents were farmers. In many ways Joey was a typical young girl of her generation. She had a dog named Googles who loved going under the porch. Joey loved going to school, walking three miles there and back. Although she would have loved to continue her education, she was needed at home to work on the farm. As a teen she enjoyed socializing with siblings and friends, and they enjoyed things like dancing, movies, parties, and playing cards. It never really mattered what they were doing, they always just had fun. New and exciting changes were in store for Josephine when she met the love of her life. 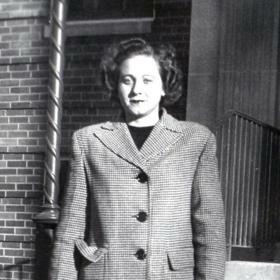 His name was Alvin Huber, and they met while she was working for Swift & Company in South Dakota during World War II. They began dating, and it didn’t take them long to fall deeply in love. They were married not long after they met. Together they welcomed six children into their hearts and home including Jack, Melvin, Marie, Loretta, Cynthia, and Greg. Although their marriage later ended in divorce, Joey always considered him to be the love of her life. As a mother Josephine was second to none. She was an amazing role model for her children, but particularly in her ability to remain positive and strong no matter what challenges she faced. Because of her teaching and unconditional love, Joey’s children became such amazing people who made her so very proud. She loved to cook, and even once her children were grown she was cooking for them as she made kettles of vegetable and dumpling soup to share. As her family grew to include grandchildren, both her children and grandchildren continued to be the center of Joey’s world. She was sure that they never left without telling them how much she loved them. Josephine enjoyed getting together with family for birthday parties as well as Christmas every year. She didn’t travel much, but she did enjoy going to Florida to visit her youngest son, Greg. Throughout her life Josephine was known for her strong work ethic in everything she did. She had a number of side jobs while raising her children. When she was 42 years old, she got her driver’s license and started a job at Briggs and Stratton Corporation. There, she did piece work for the small engine manufacturer, and she later became an inspector. 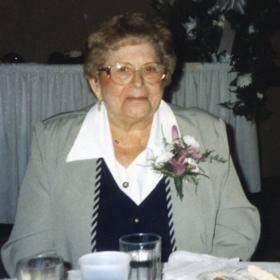 Josephine retired in 1994 with 25 years of service with the company. Although she didn’t have much down time, she enjoyed playing cards and Cribbage with her friends as well as working on word searches. When watching television she liked Survivor and both the Brewers and the Bucks. Through the life she lived each day, Josephine was such an inspiration. Someone who could always see the good in others, she was selfless, giving, and grateful for everything she had. Even when life was hard, Joey was always more concerned about others than she was about herself. There was no greater gift in her life than her family, and she was happiest when surrounded by their love. Dearly loved, she will be forever missed. 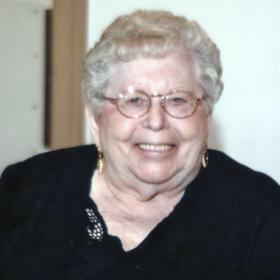 Josephine Margaret Buechler died December 12, 2018. 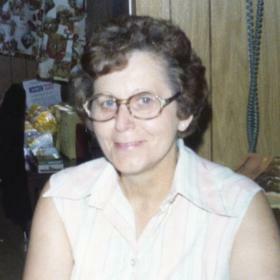 Cherished mother of Jack (Carol) Huber, Melvin Huber, Marie (Jerry) Cyborowski, the late Loretta Huber, Cynthia (James) Fischer and Greg Huber. Loving grandmother of the late Matthew Huber, Nicole Biegler, Jason (Kelly) Cyborowski, Jessica Pust, Justina (Brian) Zimny, Jonathan Cyborowski, Wes Augustynowicz, Brad Augustynowicz, Justin (Lauren) Fischer and Brianne (Jake) Keehan. Great-grandmother of Jayla, Johanna, Juliet and Jordyn Cyborowski, Sophia and Zachary Pust, Adalyn Zimny and Quinn Keehan. Dear sister of Walt (Marlene) Buechler. Further survived by "the love of her life" Alvin Huber, other relatives and friends. Josephine was preceded in death by her siblings Elizabeth Liedle, Carl Buechler, Teresa Sahli, Emma Gillick, Emilia Kramer,and Peter Buechler. Family and friends will gather at the Niemann LifeStoryFuneral Home 2486 S. Kinnickinnic Ave. Milwaukee, WI 53207 Tuesday, December 18, 2018 from 3:30 pm until time of the Memorial Service at 4:30 PM.